Wade, if you thought it was bad in 20O5, you should have seen it in the 80's and 90's. Thank you for hanging in there and staying on point with this. There was a lot of unnecessary slander and ministerial/vocational disruption for some pretty devoted servants of God at the hands of Patterson Pressler. Spot on also with regard to Miller/Barber. I’ve heard “a lot of unncessary slander” and seen “ministrial/vocational disruption” with my own ears and eyes respectively. It’s been so sad. Ditto your experience brother. The war stories are endless. What is your opinion of Dr. Craig Blaising? I don’t know Craig, but I know when and how he was hired, and I know whom he replaced and why that person was removed. And, it’s one of the reasons I continue to blog about the SBC. Just curious. I was a classmate of Craig at DTS many years ago. I wish there would be a movement to insist that ALL Trustees of SWBTS AND IMB resign their post immediately. Trustees in both institutions have allowed, rubber stamped, acted indifferently as the executive staff over both institutions have done tremendous damage to their functionality. It is those Boards who are responsible, and, as you so adequately portray, all of those previous SBC Presidents acting as the puppets of Presler and Patterson to install them. Also appears that some of these same trustees serve for decades if not longer. Very tight little system and very little real "accountability". Real inbred contraptions these "boards". ‘The good-oh-boy system is right down Patterson’s method of getting things done his way. Baptist General Convention of Texas (BGCT) was formed in 1886 and adheres to the BFM 1963. 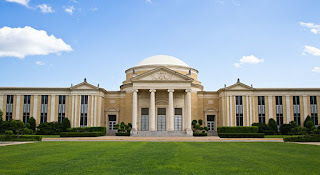 Southern Baptist of Texas (SBTC) was formed in 1998 because they could not convince the old convention to believe in the “inerrancy of Scripture”. It was welcomed by the ‘powers’ of the SBC. It adhered to the BFM 2000. In 2000, Prestonwood Baptist Church became ‘dual aligned’ with both conventions. Before that Patterson had preached a sermon at Prestonwood. I believe a deal was made between Patterson and the pastor of Prestonwood, Jack Graham, as he became President of the SBC in 2002 and 2003. Jesus sent my wife Alexis and I to Southwestern Seminary as missionaries to the students. We were both students and employees from 1996 to 2008. At one point we were both employees of Roberts Library. I was the audio-visual cataloger from about 2004 to 2008. I attended every chapel service and listened to or watched every conference and every theological paper presented at Southwestern that was recorded. I wrote a short summary about each. I also listened to hundreds of hours of historical audio recording that date back to the 1940's concerning Southern Baptist history, theology, and polity. I also had access to audio recordings from the early 1980's that few have ever heard, from one of the fundamentalist denominations and their plans. The Holy Spirit may have woke me about 3:30 AM this morning. I sense that I am to caution everyone on this blog site, to say only what Jesus is saying "directly to you" about this matter. This is not about the SBC or anyone in it. This is about you. Do you have ears to hear? I would caution you, Wallace, about tepidly attributing to the Holy Spirit what may have been the effect of a bad burrito at 3:30 AM. Jim Richards, SBT Exec, was Patterson's hit man in Louisiana before his current role. 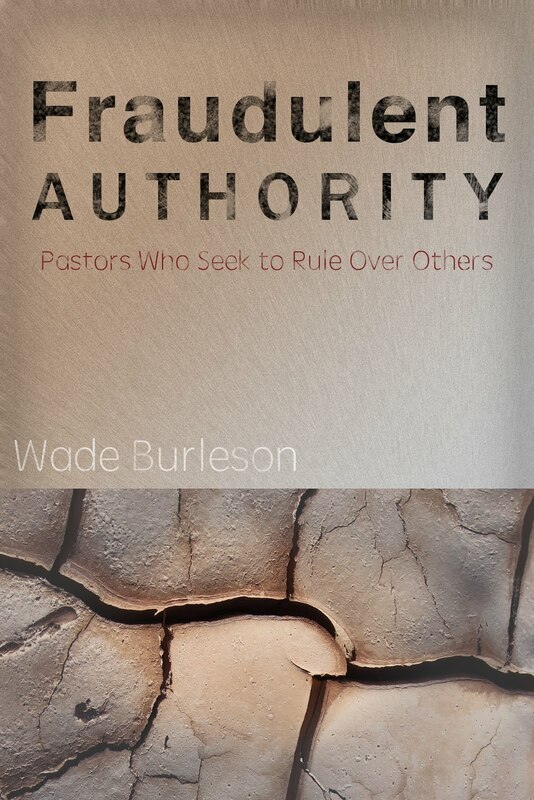 Was pastoring a small dwindling church in Baton Rouge during late 80's and early 90s. Spent most of his time printing a yellow rag and bouncing around the state, slandering pastors who were unwilling to jump on the Patterson,Pressler, Mohler bandwagon. Real snake in the grass stuff. By the way, Jim Richards and Bart Barber are big buddies. Surprised? 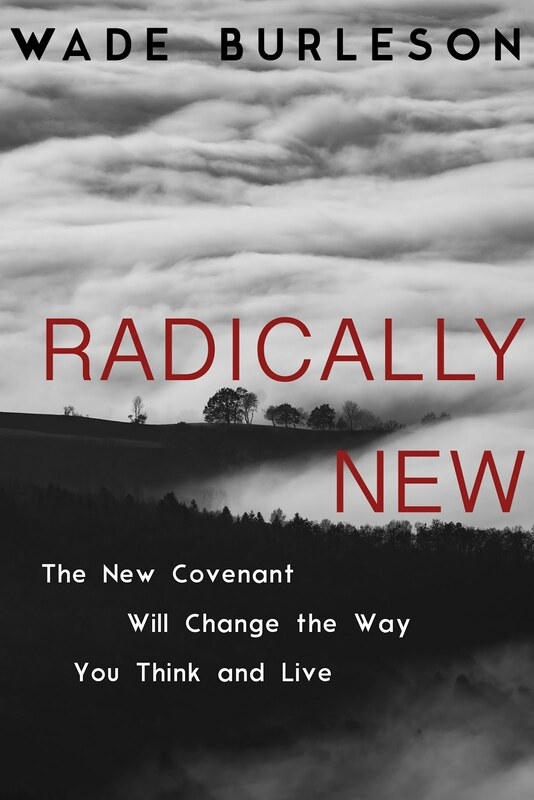 What's left of the SBC is now fragmenting along soteriological lines and both Fundamentalists and Calvinists appear to be following Presslers playbook. Even TWW (those paragons of virtue) are scrubbing articles on J.D. Greear from their site. Russell Dilday was right. I do not doubt your caution. Thank you for sharing. Be prepared for criticism. Press on. You may be correct. It may be something that I ate. I am learning how to hear Jesus. I have heard the WORD of GOD in the past. I receive your caution. That statement "directly to you from Jesus", Jon? And I yours Wallace. Thank you. I hope Dr. Barber comes through with either some accurate documentation OR an apology that is as public as his charge in print that you were told, WADE. I hate to think that his 'moving upward' in the hierarchy would be at the price of any mark against his own integrity. I hope he remains an honest person. I am concerned about the 'tone' of his comments about you, though. I hope he clarifies this matter promptly and fully and honestly, as would be expected of anyone of the integrity to which he has, in the past, been credited. And I hope 'moving up' doesn't destroy what I had thought was, in him, a basic humility before the Lord. I always wanted to think well of him, even though I disagreed with much of his theology. I always wanted to honor the fact that he chose to serve in the mission fields in Africa, which I hoped he did with a full heart devoted to serving Our Lord and the ministry to those who needed Christ. These are strange days. In politics. And in the Church. But there those two intersect, there seems to be destructive troubles. Again, I hope Dr. Barber clears this up and apologizes. Hope is a good thing. God have mercy. Sunday was the first time I have ever blogged. If that is what you call it. It was very poorly written, but I will do better. I don't do this stuff, but something is stirring in me. It could be something I ate. Jesus sent Alexis and I to Southwestern to love on those students. It was an awful time for many of those students, especially from 2005 to 2007. Jesus sent us elsewhere in 2008. Thank you for your comment and service to the SBC. Did you catalog Dwight McKissic's message in chapel? Did you write a summary? Also, was it archived? Also, could you help me with a couple of things. I'm looking for the chapel "talks" of Dr. Sheri Klouda and Dr. Karen Bullock. Have you ever seen those talks? I believe the comment I made in 2007 applies today. “…To understand the mind-set of the SBTC today, you have to understand the attitude of fundamentalists have toward non-fundamentalists. I suppose he means if you don’t believe in the word “inerrant”, you are ungodly. I thought the first foundation of any Christian organization was to win souls, but “called to contrast you [foes]” seems to be a declaration of war. They went on to say that anyone who was a friend of the SBC was a friend of theirs. Seaborn became a trustee at SWBTS, and Richards is now vice-president of the SBC. You connect the dots masterfully Rex Ray. This is a struggle between Fundamentalists and Neo-Calvinists for the restructured carcass of a vanished SBC. Looks as if the dogmas of "innerancy" have served to underscore the demonstrated fact that whether pro or con on the issue, NOBODY practically demonstrates adherence to the concept. Better to let God's Word defend itself which it has and will eternally be capable of doing. Mr. McKissic's chapel was cataloged and my wife archived it. Sometimes my catalog record only included only the topics and Scriptures referenced. Sometimes I added a descriptive summary sentence or two. I might have been inclined to add a sentence or two that day. I picked up recordings immediately after a chapel service. Sometimes they were delayed. I don't remember if there was a delay that day. What I mean by that is, it may not have included the entire chapel service. I do not not remember Dr. Klouda's, but if she spoke while I was the cataloger, it was cataloged and archived. I remember Dr. Bullocks Chapel vividly, although I don't think I was the cataloger then. My wife did archive it and she has a personal copy-- somewhere in the Northern Hemisphere. "From the 1979 Southern Baptist Convention in Houston, Texas, until the 2007 Southern Baptist Convention in Greensboro, North Carolina, every President of the Southern Baptist Convention was chosen for nomination by the tandem of Paige Patterson and Judge Paul Pressler. There was a pecking order of who would be "the next President of the SBC." I learned the truth of this and the truth of the 'smoke filled back room', of the SBC Oligarchy, while at SEBTS when we asked Danny Akin about the next president of the convention and he responded immediately and without hesitation said 'Ronnie FLoyd will be the next president'. It was obvious he was 'in the know' and a member of the cabal. Oddly though, if memory serves, it was when Ronnie Floyd was first put forward but the 'bloggers' upset things and voted in Frank Page. Of course, Floyd was eventually voted in. Rex, what is your explanation of women signing a petition for the ouster of Patterson while at the same time affirming (within the context of same petition) the BFM2000 including its complimentary emphasis on the "roles" of women in church and at home? How does this subtle conflict of interest play out? It is absolutely amazing, Shawn, how some of you guys (younger than some of the rest of us) were intentionally kept away by the SBC-"Academic"-Powers That Be from an accurate unrevised history of what actually took place in the CR and during the "purge" in the very same semi aries where we, your older predecessors in those institutions were witnessing first hand the bloodletting (figuratively) of the CR machine. Sounds like they completely abolished the departments of Christian and Southern Baptist historical studies and replaced them with departments religio-political mythology. None of what is happening to Patterson is remotely biblical. He stands on the inerrancy of the Bible and always will. I am a student at SWBTS and will not put another dime into continuing my education. Christianity is being watered down at the expense of Dr. Patterson and I am ashamed of everyone. Everyone will answer to God for their actions, myself included. That's what my wife asked (while rolling her eyes) and puckering up for a gentle kiss from her husband. She gets me a copy of Dr. Bullock's chapel talk (e.g.) "her indulgence in the exposition of the Scriptures"). And I hope to one day get the pulpit from behind which she delivered it. Oil and Gas hiring is picking back up for younger guys. Glad to see people are beginning to acknowledge Barry McCartys role in the dismantling of the SBC. Probably no other person has had the actual hands on cunning and knowledge, with position, to accomplish such a feat. They could not have done it without him. How many CP dollars have gone to that Church of Christ preacher? Probably somewhere around a million. I'm not following. You are quitting school because you are ashamed of the way the president is being treated? You are disillusioned because of the politics involved in convention business? If you are a graduate student, then you have professed a sense of God's calling in your life. Before quitting, you need to re-assess that calling and how you intend to pursue it. I am not a fan of Paige Patterson and dislike many of changes he has made on "The Hill" since I was a student there. I know, however, that there are a lot of well meaning individuals there, both faculty and staff and strongly encourage you to evaluate your place there not in light of these controversies but in the light of God's plan for your life. Seek our a trusted professor to discuss these things with before making a regrettable life decision. 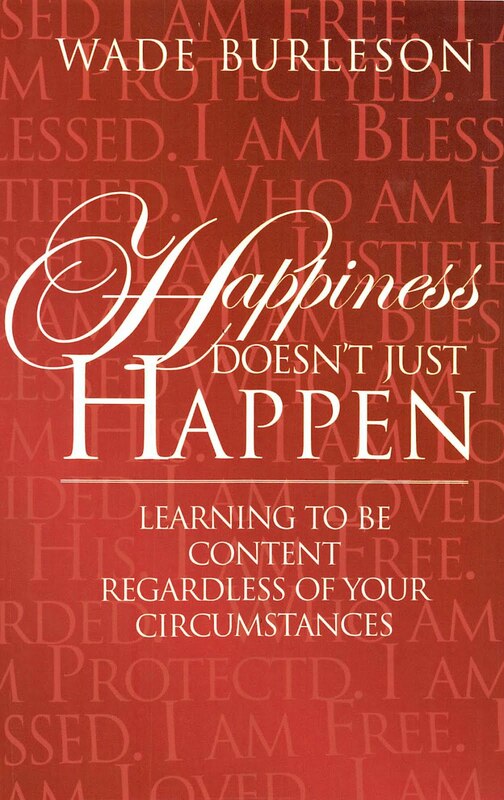 I am praying for you as you process these matters in your life. 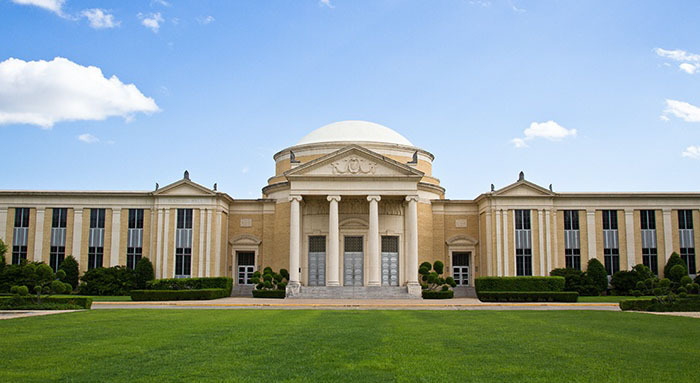 Southwestern Baptist Theological Seminary is a historic school with a great heritage and will roar back to former glory very soon - and I predict even surpass the golden years. Can you give me Klouda's link? I read your offer to my wife for her copy of Dr. Bullock chapel CD. But the moment she realized I would be getting more books; she started pulling her hair and ran screaming out of the house. I guess that means no. The reason I remember that Chapel so well, was the immediate response of a professor. He said to me, "Wow, I am so glad she did not quote a poem at the end, because then, that talk could have been called a sermon." Thank you so much! Really! I helped refugees from Vietnam get their American citizenship for several years. They had to learn some English. Very often these people who knew very, very little English, would raise their hand and say, "No, teacher; that is not good English." Then one day I said, "I don't speak English, I speak Ark-Texan." They and me, felt better about me after that. When my wife found out that I wrote a blog last Sunday, for the world to read--she cringed. You might pray for her. PS: Did I put in enough commas? ""Wow, I am so glad she did not quote a poem at the end, because then, that talk could have been called a sermon." That, Sir Wallace, is hilarious. You done good, Wallace, as we say in the hill country! I can't describe how much you just ministered to my Alexis! Sounds as if Wade has the inside track. What kinda deals you cutting hombre. And the courageous site administrator at the Wartburg Watch should at least give the folks she chides publicly an oportunity to respond. Guess you have to be the right kind of SBC "victim" in this charade. Wallace, give my best to your Alexis. In the Fall of 2005 I had six friends who were disgusted and had decided or were considering leaving Southwestern. Two of these folks at been at Southwestern for years and were half-way through their LAST semester. They were utterly burnt. I said to each of them, "So what, if you think this place is pathetic, the question you have to ask yourself is,'Did the God of the universe send me here?'" Now, you may not know. Folk go to seminary for all kinds of reasons. Seminaries are around for all kinds of reasons. But, I know this. I really do know this! Jesus is literally alive and He actually desires to literally speak to those who are His. Those who have ears to hear. If you desire to be known by Him, He will speak to you, and in whatever way he wishes to reveal himself. If you are more desperate for Him than your life or your 'ministry', these are exciting times for you! Seminary are not! Probably smart move on her part not wanting to out somebody until all agendas are clearly discerned. Meanwhile, until "Golden Years come roaring back, remember that you M.Div is worthless unless you become one of the majority who pastor small churches. As for graduate degrees, there are no professorships available, they don't hire those positions "off the street" in the SBC system. Get an M.A. in something useful that you like and can use should you end up pastoring a church and if your church wants you to have advanced seminary training or classes, let them offer to pay for it. Barber: "For this reason, I try to avoid reading Wade’s blog, conversing with Wade, or clarifying Wade’s false statements." That's quite something, essentially alleging false statements have been made by someone (doesn't that appear to be a version of witness to false statements, with all of the Biblical implications therein), but not listing one, let alone a plurality of them. A trustee in action -- keep those CP dollars coming, folks, just don't peek behind the curtain. Regarding your point #3, I'd made similar observations recently as it related to other articles about this subject. "SWBTS President Paige Patterson was quoted in the news release as saying, "The administration is doing the best it can to find ways to cut spending that do not involve the release of existing faculty or the students employed by the school." The news release then stated that Patterson "went on to say that current economic trends would make this goal difficult to achieve." "Southwestern is suspending the work of its Naylor Children's Center for at least 18 months. The center, which annually posts a deficit, according to the news release, is a laboratory school under the direction of the school of educational ministries that provides care and instruction for preschool age children from six weeks to age 5." "We anticipate that other cutbacks in the budget will be necessary to ensure that Southwestern maintains its debt-free operational position and to be certain that revenues cover expenditures," Patterson said." "This is a most regrettable circumstance and not of our own making," he said, "but as stewards before God, we are all responsible for handling matters with as much compassion and justice as we possibly can. The goal in the end is to have a strong seminary when the present financial crisis eases." The rest of the article points out the CP factor and then points to previous storm weathering. "Barber: "For this reason, I try to avoid reading Wade’s blog, conversing with Wade, or clarifying Wade’s false statements." That's quite something, essentially alleging false statements have been made by someone (doesn't that appear to be a version of witness to false statements, with all of the Biblical implications therein), but not listing one, let alone a plurality of them. A trustee in action -- keep those CP dollars coming, folks, just don't peek behind the curtain." Control. Control. Control. Boys with toys don't like it when a referee with a whistle shows up and explains they've wrongly taken their neighbor boy's toys. It seems DM has now permanently banned me from making comments on SBC Voices. I don't blame the entire "team" - because in reality, it's SBC Voices - and guys like William Thornton, Dwight McKissic, and others on the "team" would never have voted to ban me. But, unfortunately for DM, I've been down this road before. People who know me understand that his kind of behavior only fortifies my resolve, causes me to ask even more questions about the person or people seeking such absolute control, and in the end, redoubles my efforts to expose what's wrong. The wisdom of Gamaliel seems to be lost by many these days. 1. Slander the person asking questions to make his character the issue. 2. When he doesn't stop asking questions and seems unthreatened by your slander, turn off his mic. 3. Keep doing what you're doing, but tell people "behind closed doors" the guy asking questions is crazy. 4. Open the doors - to a world that winds up devouring you for not listening to the one person who loved you enough to ask you the questions you were either unprepared to answer, unable to answer, or worst of all, unwilling to answer. The doors of smoke-filled room (metaphor) behind closed curtains (metaphor) where secret deals are made (metaphor) are over in the SBC (actual). Just wait till the doors of the trustees at SWBTS open this time. A few of them will scream bloody murder about everyone and everything but the real problem. Sir, in your subsequent comments, you have made yourself THE single most qualified SBC'er in the Southern Baptist Convention to serve as a trustee of Southwestern Baptist Theological Seminary (IMO). The reason? Because you are asking the questions every single SWBTS trustee should have been asking behind closed doors for the past ten years. I wish every Southern Baptist could read your last few comments. That, JDV, is what trusteeship should look like. No. The days of smoke filled rooms are NOT over. Another group with a different brand of cigars but similar mechanics are licking their chops to set up shop. Other "boys with toys" will be more than happy to set things in "order". Praying today that pure hearts and clear minds will prevail on Seminary Hill. That tough questions will be asked and honest answers given. That issues will be dealt with thoroughly and right conclusions made. Excellent job of covering your lemming base at Voices Wade. There are some really good men and writers at SBC Voices. For whatever reason, one or two of them need to learn that aplomb and graciousness will get you to really cool places in the Kingdom, but insecurity and passive/aggressive snarkiness will only get you to places you've created in your mind. It looks as if wiser heads prevailed at SBC Voices and my commenting privileges have been restored. Would you mind sharing the same with your friends at the Wartburg Watch? I did not realize that "the Kingdom" was operationally tied to the rules of proper internet decorum. News to me. Glad that in God's "fullness of time" with the incarnation, there was no telephone,internet or even a Gutenberg press. Glad that Christ's teachings were delivered while looking directly into the faces and eyes of those to whom He spoke. I need some technical advise. If a person wishes to delete something that they have said on a blog, how would they do that. I wrote my first blog Sunday and I did not express myself well. I am a bit out of my element, trying to communicate in writing. Sometimes, after I read what I wrote the day before, I say to myself,"What was I thinking?" Imagine that! If you want to delete your comment on Wade's blog, there's a small picture of a trashcan after the "date and time". Click on it and your comment will be deleted. change is SWBTS finances and declining enrollment. It won’t matter if it is a wrist slap. More and more people will come forward now that he has been removed. Just watch the news! More is coming on both Pressler and Patterson. Has to be. It is so sad but also encouraging that the truth is c9m8ng out! This is the beginning of the end for the SBC. Thank you, Wade. As always -- courageous, articulate, and prophetic. Thank you for your leadership. Are we supposed to still be looking for the “Kloudian” and “Tongues of Fire” chapel talks? I have an amazing filling system, but I have a gap in my personal chapel records from Spr. 06 –through Spr. 07. I would appreciate it if someone could resolve this issue, before I have to start looking through my ‘Honey Lov’s’ closets! Wait . . . if a “Kloudian” tape was made, then Dr. Klouda could have been there! Reckon she remembers? By the way, my Alexis said, that immediately after Dr. Bullock’s ‘talk/sermon’ that ‘the multitudes’ lined up in Southwestern’s audio-visual department to order ‘multiple’ copies. She said, it was the greatest seller of all time. Well . . . that is, during my ‘Sweet Thang’s time. So if you want a hard copy, you might check the cassette resell shops in Ft. Worth, because apparently, there are billions and billions of Bullockist’s out there. Help me! How do you say ‘Sweet Thang’ in the hills of Kentucky? Download the ACE333 downloadable casino application. Ace 333 by Ballinw free download and install both PC version, Andriod and iOS with 333ACE installation method thoroughly understand in just a few steps ! !